The College of Sciences and Mathematics hosted one of Ezell Harding Honors Biology classes on February 13. Mrs. Alisa Mitchell and her class partnered with Dr. Nick Ragsdale, biology professor, as they explored the skill of spectrometry. The class learned the science behind and the technique of visible light spectrometry as they measured the absorbance spectra of various dyes as well as plant photo-pigments. After attaining their data, the group worked on proper graphing techniques as an extension of learning how to communicate scientific data. 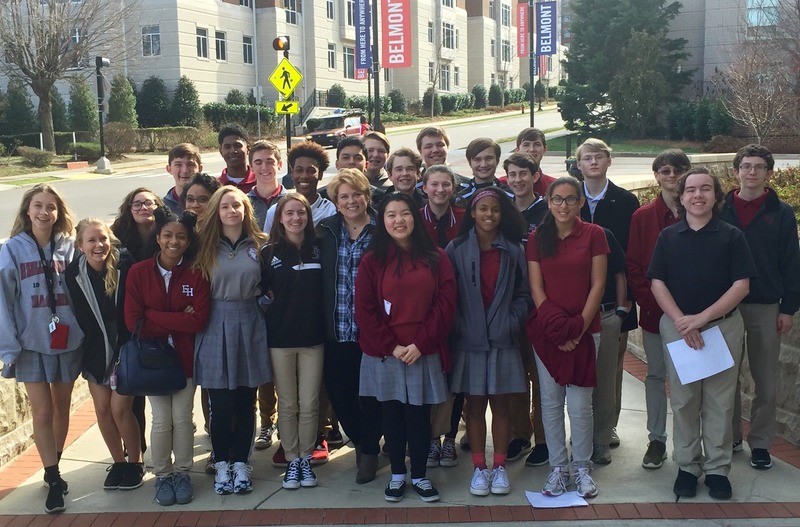 Finally, Mitchell and her class toured the science labs on the 3rd and 4th floors of the Jane Ayers Academic Center.